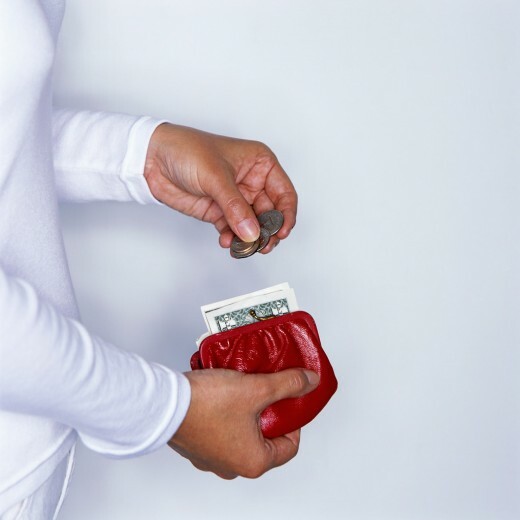 Can Single Moms Successfully Save Money? It all depends, right? I'm not the best at managing money, but I have learned to make my income work for me and my son by incorporating several money saving tactics, and the nice thing about them is that most of them are very earth friendly! The key for me is peace of mind. We may not have much, but we make the most of what we have and live off of much less than other people. I took a massive pay cut when I left a high paying job in the DC metro area, gave birth to my son, and started a work from home journey. Although I took a year in between then and now to work a "real job," it was in small-town Edinborough, PA, and the pay was not enough to get by, actually, even in a low cost of living area like Erie, PA.
Now, we are back to a moderate living but most people would scoff at it, and I make it work but it takes effort, sacrifice, and diligence. The answer to peace of mind isn't always a bigger salary, especially because you have to learn to do with what you've got before you can handle more, right? Frozen fresh foods, especially fruits and vegetables, have been shown to be just as healthy as "fresh" fresh foods, so stock up. They cost less, last longer and will result in less waste. Don't use credit for anything. It should only be used in absolute dire emergencies and only if you have a solid credit history so your rate is low. The reason? Because credit costs you money. So you have to pay money to get money, and in the end, they win. Part of the reason to do this is that it reduces wear and tear on your car, and saves your gas. The other part is that you will most likely do something fun on the weekends anyway, and so you will end up saving money because you won't be going out all during the week. $5 here and there really adds up. Psychologically, this is a really difficult one, because as single parents, we need friends and company. But if you can't afford it, you can't afford it. The wealthy didn't get there by constantly draining checking accounts! Tip: If you just have to have a weekly lunch get together with a friend, commit to depositing an amount equal to what you spend at lunch into your savings account. So for every $10 lunch you have, you will have to save $10. I have recently started doing this, and it makes a difference financially. Kids soaps and shampoos are mostly all marketing. You can either use what you buy for them, if you are concerned, or buy a brand known for being mild and inexpensive, like Suave. 5. Sell your kids' shoes, clothing and toys rather than donating them. Donating is a marvelous idea! I do it all the time. But kids shoes, clothing, and toys have great resale value at second-hand stores. One chain near where I live is called Twice as Nice and it is my favorite place to sell my son's things. You can then use the money you get from selling the items to purchase "new" ones (see next point). 6. Buy used shoes, clothing, toys, furniture, and most anything else! On very rare occasions (namely, holidays and birthdays) I will buy something brand new for my son or myself or our home. Every other time, though, I buy used. Favorite places to shop are Goodwill and The Salvation Army. Both have sales most days of the week, and if you go frequently, you will cut down on the time you spend searching for the good stuff. Lucky find? An almost new pair of black, high-heeled Tommy Hilfiger sandals in perfect condition on sale at Goodwill for $7.49. Truth be told, I spent about 45 minutes there because I couldn't find the matching shoe for what felt like forever, but it was a sweet thing when I finally did! Juice is very sweet, has tons of sugar, and in general is not recommended as the sole beverage of choice for children. My son's doctor advised me to give him only 2 oz of juice per day (yeah right). While that's totally unlikely to happen, what I do is give him 1/2 juice and 1/2 water. It basically makes your juice last twice as long, reducing garbage and helps save your kids teeth and tummies, too. This is probably controversial, but I'll say it anyway. If you are busily making big meals with food that your kids don't like, it is going to waste time and money. Obviously it depends on your family's way of dealing with picky-ness, but for me, I save a lot of money by feeding my son food that he enjoys eating. That doesn't mean that he eats candy all day long. But I'm OK with eating spaghetti a couple of nights per week since it's something he will eat. Rather that, then make a lovely pork roast that ends up being food for me, myself, and I. Washing and drying clothing using standard washers and dryers is not only financially expensive, it consumes a ton of energy. Frequently changing clothing throughout the day unnecessarily will fill up your laundry basket quickly and require more washing. As long as you are not leaving the house, there's no need to change your kids clothes just because they are a little dirty! You will save a lot of money and energy by curtailing the urge to make them change their clothes. This will depend completely on whether or not there is a RedBox near you, but RedBox is cheaper than Netflix, as well as pay-per-view. At only $1 per movie per night, you could rent 3 movies a month and still pay less than what you will with Netflix (which is currently $9/month. Subject to change). Most cities have RedBoxes at nearly all major grocery stores as well as Wal-mart and Target. As long as you rent while you are shopping, you will not have to waste gas going out of your way just to get a movie. To return it, plan to return it while you are on the way to something else. Though I do follow some of your tips here, like selling off some of the used stuff (and donate some), I am really really touched by what you have written and gone through. You are so strong and tough, creative and intelligent to cope with what you have. Many thumbs up to you ! Nice hub and good tips from you. I am glad to follow your tips. I am concern about money management and I found it here. Thanks my friend. I am not hesitate to rate this UP. I'll bookmark this one. Great to meet you - and the idea about selling children's clothes - that does so well here in NYC. Wherever you can set up a table - the items sell. We truly have to hustle all the time being moms! Congratulations on the HubNugget win. It is never too much to remind and remember good tips for saving money. I really liked your ideas and the hub was really good and interesting. Keep up the good work! Oh wow great mommy minds think alike! Being a single mom I can so relate and have done some of the things you wrote on. This is must share so Im sharing this hub nugget I found. Anyhow, you might want to check out the book "Miserly Moms" since we've used that rather successfully. I'll show my wife this Hub - good stuff you got goin' on. Congrats on the HubNugget win! Great stuff. Aloha. Thanks, everyone! I won the HubNugget contest! :) Yes, I am super-psyched. Thanks, Keith. Maybe I will consider a series! I am a cheapskate at heart and always have been. I like your ideas and recommend you add Amazon links to books like "The Complete Tightwad Gazette," "Your Money or Your Life," and "The Ultimate Cheapskate." Your hub is well written and you should consider a series on the subject. These are great money saving tips for any parents. I especially like "Don't use credit". We always buy all of our clothes used. Not only do you save a fortune, you can get some great brands, if you look. Congratulations on the hubnugget pick. Very well written with lots of tips and other resources to find more information. Congratulations on your nomination and welcome to hubpages. Very useful tips and I like the title Mommy Tricks. I reminded me of some of the little tricks like these that my mom used to do. I guess mothers have to be creative like that. Congrats on being selected as one of this week's HubNuggets Wannabee Nominees. Good luck to you! @ripplemaker - Thanks for the kudos! I was very surprised at the nomination! I learned a lot of new ways to save money. A few of them I already do now. Thank you for the tip about saving the dollar amount equal to what I spend when I go out. That is an interesting concept! I also do a lot of laundry. I live in Las Vegas so it is hard to keep on the same sweaty clothes! Thank you for sharing these tips. There are indeed many ways we can save and cut down costs. Pity are those single mother to survive with her kids. Being the father and mother at the same time, working outside and at home to take care of their children. Saving up some pennies is equally important to anything to do with their kids.